People of all ages are fascinated by superhero costumes and especially when it comes to iron-man. Because of the growing popularity of the iron-man comic series all the teenage girls and boys, men and women want to become the Iron man themselves. Taking a cue from the movie's taglines, "Heroes aren't born, they are built", costume enthusiasts who are searching for iron-man costumes are at the right place. Iron Man’s birthday is approaching, so why don’t you throw Iron-man themed party and get into the full swing. Do not worry we are here to lend you a help for celebrating the occasion with the best costumes and all required party essentials. Iron-man costume is indeed the great hit for Halloween too. While there are many costume options in front of you but iron-man costume has become one of the greatest outfits of all time. Everyone likes to dress up stylish, and there's no doubt that Iron Man is sizzling. Of course, planning a super hero party takes some super planning. To help we have assembled some costume ideas, accessories and party supplies. Scroll down for some best Iron-man costumes, accessories and party essentials and that too at a very reasonable price. Get the War Machine’s more patriotic look with this cool costume. 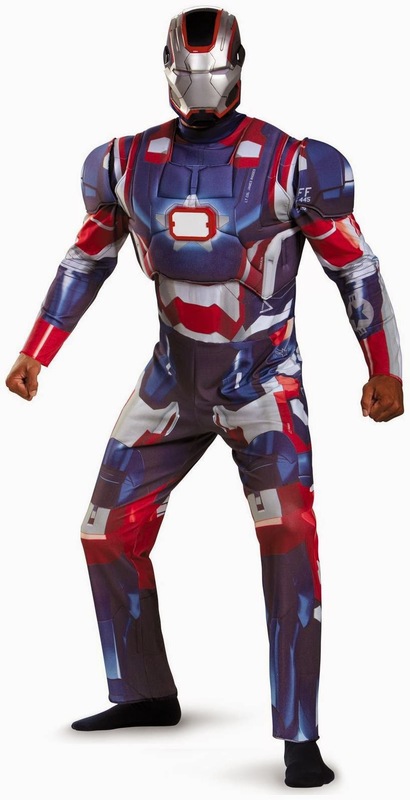 The Iron Man 3 Patriot costume features a gleaming blue armor print. 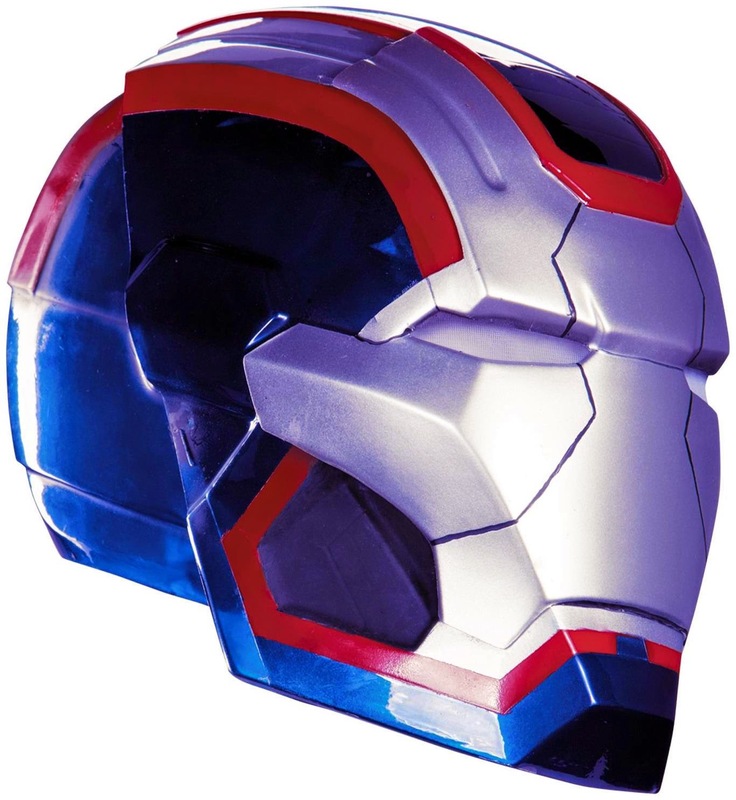 Top off the Iron man patriot look with the accessories like gloves and helmet. Men love to dress as bold, brave characters that really make them feel like Heroes. Get ready for the celebrations and be ready to protect the American dream in this red golden suit. Fight your enemies in the battle with this cool costume. 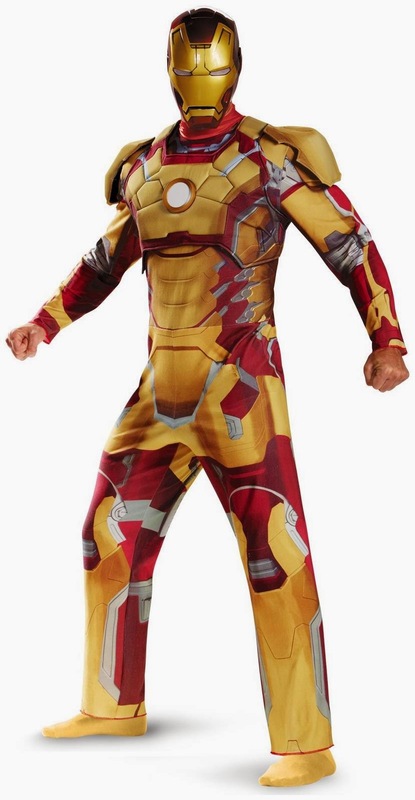 We also carry Avengers Iron man costume. If your kid loves the iron-man movie then this costume is for him. Turn your kid into the little superhero. It will also come handy when you will be planning for your kid’s birthday or at the time of Halloween too. You can plan a superhero themed party for your kid’s birthday. No costume is complete without the complimenting accessories which are very important to wear along with the costumes. We have every single accessory which includes gloves, helmet, belts, tattoos and wand. For your party, use colors like red, blue and white for all your decors. Use metallic papers which will turn your party into the iron man’s workshop. From every theme party costumes to accessories we have everything you need to become your favorite superhero. Save the world and your theme party having our unmatched collection of the Iron-man costumes; not only costumes but we also carry accessories to complete the Iron-man ensemble. We do not carry costumes only for iron-man party but we have supreme and incomparable collection of costumes and accessories for your all Theme parties. Come and shop with us if you are looking for the best, eminent costumes at economical rate.